Allow your fashion to speak up for you. Let it speak your confidence and boldness. Let it say “you are one hott mama”! 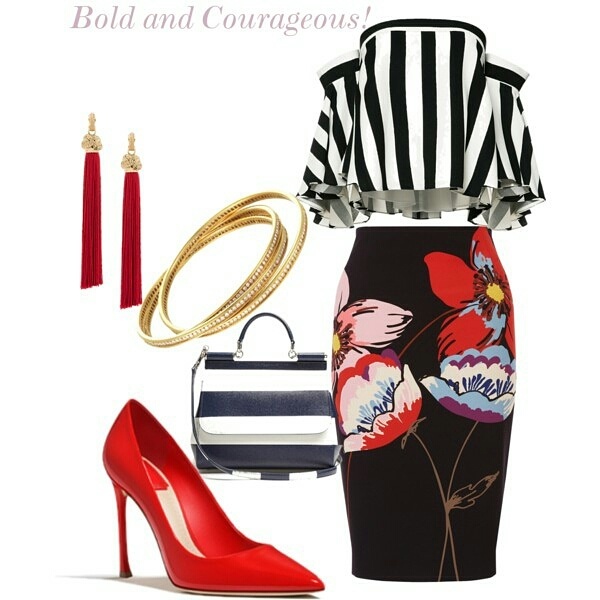 I absolutely adore print on print outfits! To me, they signify a boldness that cannot be expressed through words. Matching a black and white small to medium sized print with a large scaled colorful print tends to work. The secret is to pay attention to the color palette. Make sure the prints match color wise and you should be good to go! Thank you do much! I’m glad that you like it! Live boldly! Definitely agree with the amount of non-verbal boldness in this! Love it! Thank you so much! I appreciate the love. I put this one together myself!